The benefits of drinking Gatorade may seem obvious––more energy, better performance––but is it really such a good choice? In this article, we'll discover the pros and cons of that tasty sports drink designed to add value to your workout. In the middle of last century, a group of scientists from the University of Florida invented a unique beverage for student-athletes who became weak and tired quickly during intensive on-field exercise in the heat of the Florida sunshine. The drink contained a mix of electrolytes, carbs, and water, and was dedicated to enhancing the performance of the university’s sports team––the Florida Gators. Gatorade, as it became known, is now America’s top sports beverage. World-renowned athletes such as Tiger Woods, Serena Williams, Michael Jordan, among others promote it. The drink comes in a variety of colors and flavors, but what the company continues to focus on are its re-hydration during exercise benefits. And in fact, it has proven to be a popular beverage––lots of sports professionals and amateurs prefer it to water and boast its nutritional properties. But how do the facts match up with the advertising? The drink provides a mix of minerals and sugars to compensate for the energy levels needed for peak physical activity. Gatorade suggested that water alone was lacking all the essential elements to quickly boost the body's chemistry. And, so, this invention spawned a new industry––sports drinks. Mixed together, these elements closely resemble the natural fluids of your body. On average, the human body consists of approximately 60% water, making it an essential element for our well-being. Dehydration from a lack of this life-giving liquid may lead to some seriously negative consequences, indeed. These can include: increased heart rate, slowing of reaction time, loss of focus and productivity. To avoid dehydration, you need to consume a sufficient amount of water, and this is especially important when training in climate extremes, such as heat. In addition, Gatorade helps water to stay in your system for longer. Its delicious flavorings encourage you to drink more, and one of its ingredients, sodium, helps retain the liquid in your body’s cells, enabling it to function more efficiently. Sodium and potassium are also essential elements in regulating your blood pressure and ionic balance. The former is responsible for your nerve and brain work; one helpful addition of that is that it prevents muscle cramping. If you want to stay active for an extended period of time, you should give your body a boost of carbs to create an energy impulse. Carbohydrates help maintain the necessary level of glucose in your blood which is processed into fuel for your body. A lack of carbs results in muscle fatigue which will knock you out of the competition. Note: You should keep in mind that all these Gatorade health facts are aimed at professional athletes who spend more than 60 minutes a day on vigorous training. For other users, the results may vary, and you could risk an overload of any of these key elements, giving an entirely different (and not so pleasant) result. One of the primary criticisms is it that a great number of people consume this beverage do less exercise than they should or even none at all. All the research that supports its positive influence was conducted on professional athletes, and besides, these studies came from the producing company itself. While that’s not to say they are inaccurate, the benefits of Gatorade could benefit from an independent review. Gatorade may actually be bad for you. The amount of sugar in a 20-ounce bottle is almost equal to the same serving of plain soda, making it a not so healthy choice for adults and a potentially dangerous one for kids. For those kids who lack exercise, drinking Gatorade may put them at risk of obesity development due to the additional caloric intake. Moreover, the sugar level contributes to tooth decay, a widespread issue among children with a sweet tooth. For adults, high levels of sugar without any exercise routine will result in weight gain and issues with digestion system such as nausea, flatulence and stomach cramps. Extra amounts of sodium may affect blood pressure balance and put users at risk of hypertension. The last con of the sports drink is in its beautifully terrifying colors. In general, it is better to avoid artificial food dyes and sweeteners as they may be connected to the onset of diseases such as cancer. So, minimizing your exposure can only be a good thing. While all this sounds scary, it’s important to keep things in perspective; with that in mind, considering all the aforementioned facts, if you want to consume sports drinks do so with care, and especially if you spend less than 60 minutes a day working out. 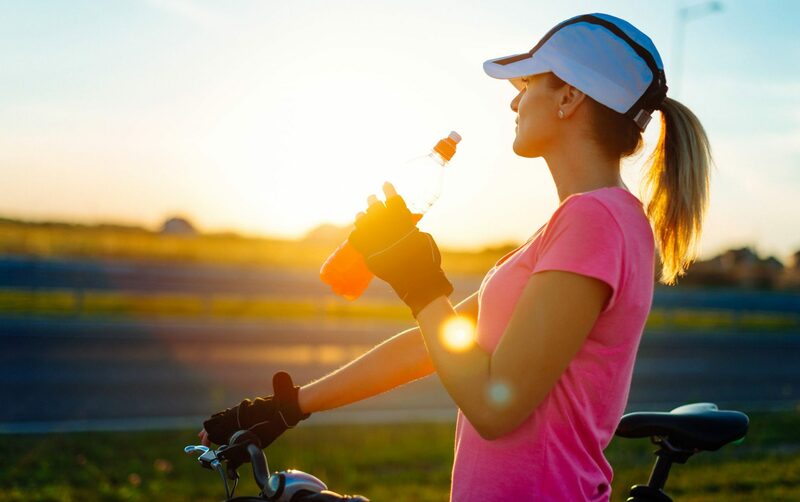 When choosing your sports drink, Gatorade or not, it’s vital that you avoid unnecessary extracts and chemical elements, so read those labels carefully! Another alternative is to prepare healthy sports beverages using your own recipes at home; this will guarantee you confidence in the ingredients that you are taking in. Natural flavorings––fresh peppermint, berries, slices of lemons or pineapple, etc. Grab your blender, add the ingredients and mix it! Once the concoction has been blended together, cool in the fridge, pour into a bottle and get going to your next workout!